The photograph on the right - from an original postcard - was taken on the 28th April 1920, and refers to the opening of the Cottage Hospital on London Road, Buxton, by the Duchess of Devonshire. 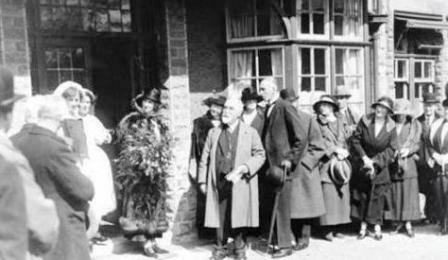 However, the Buxton Cottage Hospital had been in its present location since 1911, so this photo must refer to the opening of the extension. The Duchess - presumably the figure here with the bouquet - was Evelyn Emily Mary Cavendish (née Petty-FitzMaurice) (1870-1960), the wife of the 9th Duke, Victor Cavendish. 1: Buxton Cottage Hospital Extension: opened in 1924 as the second part of the public subsciption appeal which also built the town Memorial on The Slopes. 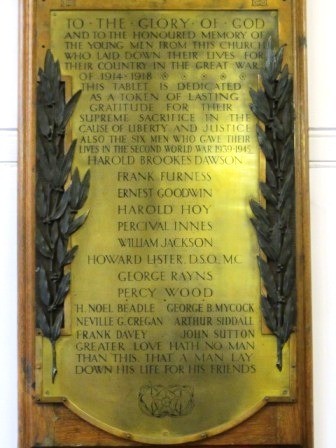 2: Buxton Congregational Church Memorial: commemorates 9 men from World War 1 and 6 from World War 2. 3: Buxton Library Memorial: in the old Kents Bank School building. 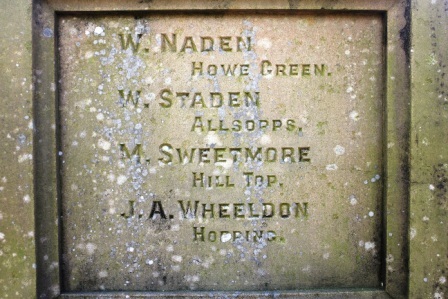 4: Peak Dale Memorial: contains many of the names of men on the Buxton Lime Industries Memorial. 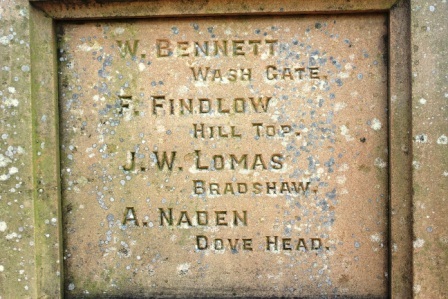 5: Brandside War Memorial: contains names of some men employed in the limestone quarries to the west of Buxton. "This will complete one part of the Buxton War Memorial Scheme. The other part is the extension of the Cottage Hospital." It seems that this commitment was fulfilled though not for another four years. 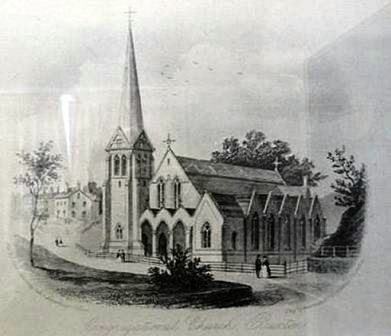 The origins of the present Buxton United Reformed Church can be traced to a Congregational Church in Spring Gardens, built by subscription, but by 1861 its congregation had raised funds to build a church. Kelly's Directory of 1932 refers to this Church as being in Hardwick Mount, and a building in the "Decorated Gothic style, with a tower and spire at the south-west angle, and 500 sittings". 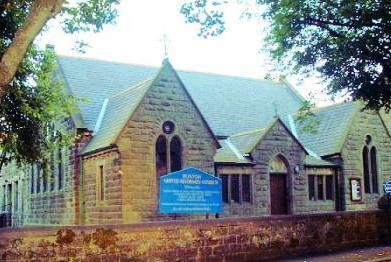 This building has since been demolished and the church currently worships in a former Sunday school, on Hardwick Square East, which dates from 1881. The "Congregational Church Memorial", as it was initially, is a wooden plaque bearing the names of nine Great War and six Second War casualties who were members of the congregation. The Library is housed in the former Kents Bank School, which has its own Memorial for former pupils lost in the Second World War. 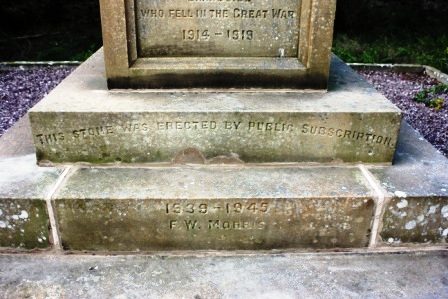 More pictures of the Memorial can be seen on the "Kents Bank School Memorial Archive". In addition, however, there is a Memorial Plaque to one of Buxton Library's former employees - although at the time he worked there the Library was housed in the Town Hall. The Buxton Free Public Library & Museum moved into the Peak Hydropathic Hotel, on Terrace Road, in 1928. During the First World War, the Red Cross used it to care for wounded Canadian soldiers. Buxton Library's next move was into the eastern end of The Crescent, before moving to its present location after Kent's Bank School closed in 1982. Pt. 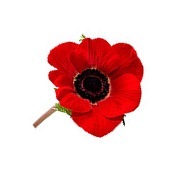 40926 George MITCHELL, 1st Battalion, Leicester Regiment, was killed in action on the 11th September 1917. 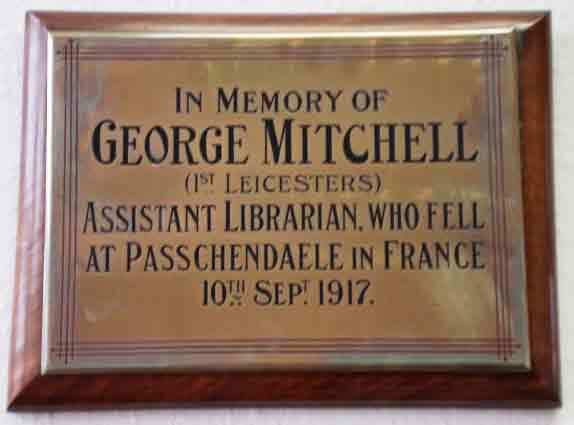 George was employed as a 'Library Assistant - Public', and although the Library was not in its present location at that time, a Plaque in his honour can now be found inside the current building. the area by the prospect of employment in the quarries. War dead have been added around the base. detail on the unveiling of the Memorial: "... on Good Friday afternoon." Dedicated by Rev. J Stainer-Wilkinson. © Copyright Neil Theasby and licensed for reuse under the Creative Commons Licence. on the Peak Dale Memorial to be included on The Slopes Memorial, Buxton. on the 21st August 1921. 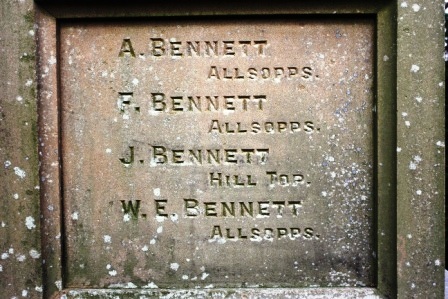 Egypt and is commemorated on the Chatby Memorial. Brand End, Brand Side and Brand Top are a number of tiny hamlets located in the Parish of Hartington Upper Quarter about 5 kms. west of Buxton, 2 kms west of Harpur Hill. In 1901 Brandside, Hill Top, Brand End and Dove Head had a combined population of about 150. 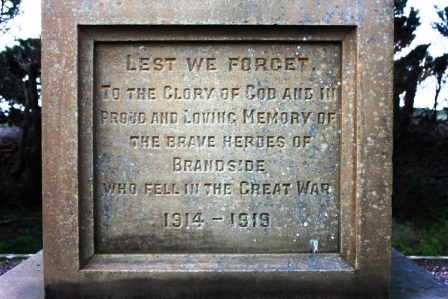 The Brandside War Memorial covers a small area of farms close to Buxton in Derbyshire. 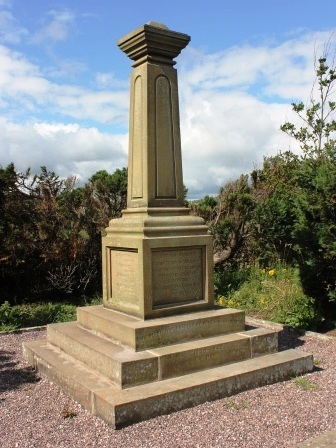 This dignified and substantial War Memorial was unveiled in 1919 and is set in a walled enclosure at the end of a country lane. 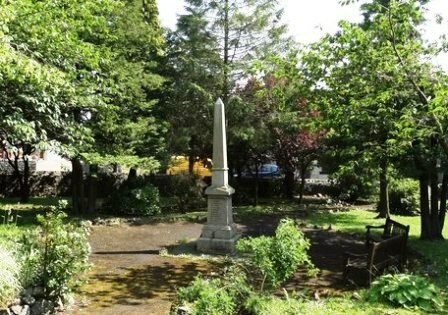 The memorial is for just twelve farm and quarry workers from the local area who died in the First World War and one man from the Second World War. Pt. 243481 Matthew Sweetmore; and Pt. 26188 Jasper A. Wheeldon. The other eight men are not, as yet, covered in this site. killed in action on the 6th May 1944.